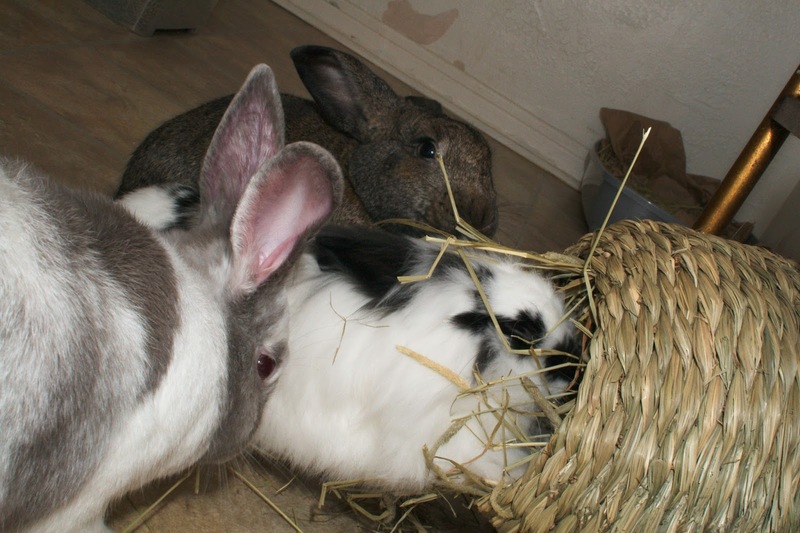 Hay, it's what's for dinner! It's a bun new world. 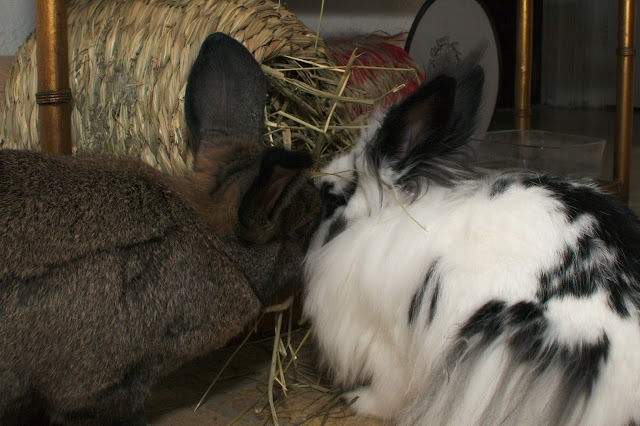 We can share hay ball. Yes, that's Espresso and Charlie with their moufs in a freshly loaded hay dispenser. No bites, no fights, what's a hoomin to do now? Watch and melt? Espresso still puts his head down and pretends to charge at Charlie from time to time, but the intensity of the gesture is minuscule. Sometimes, the three of us even loaf together! 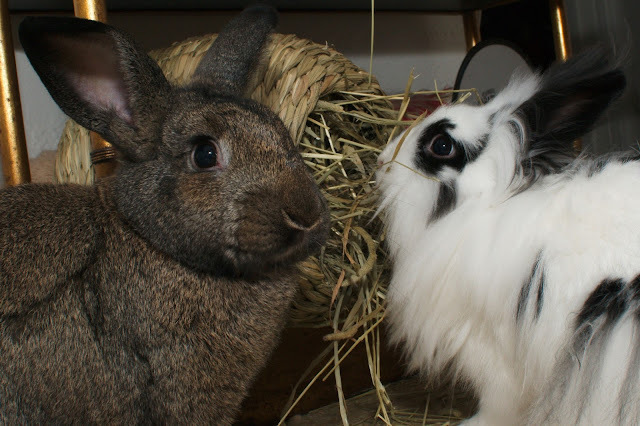 That gets the hoomins up and staring, dragging their moufs on the floor. Slowly, slowly, these three are getting the hoomins trained as to how things work!!! There might be hope for the rest of us.